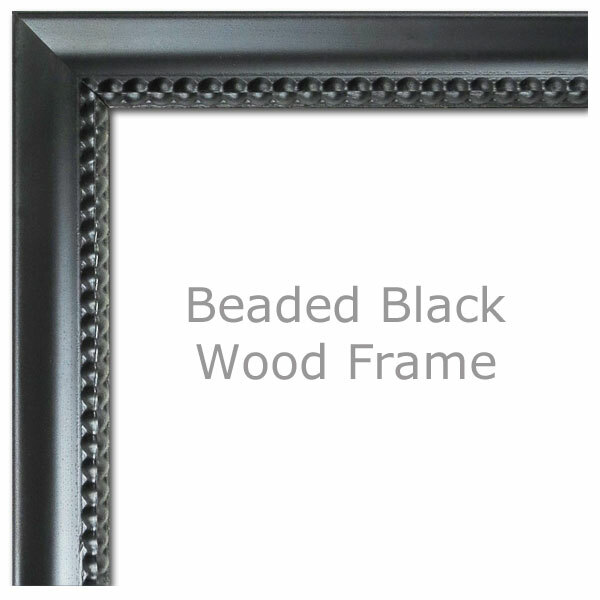  High quality wood frame with beaded pattern.  Includes a real glass face. 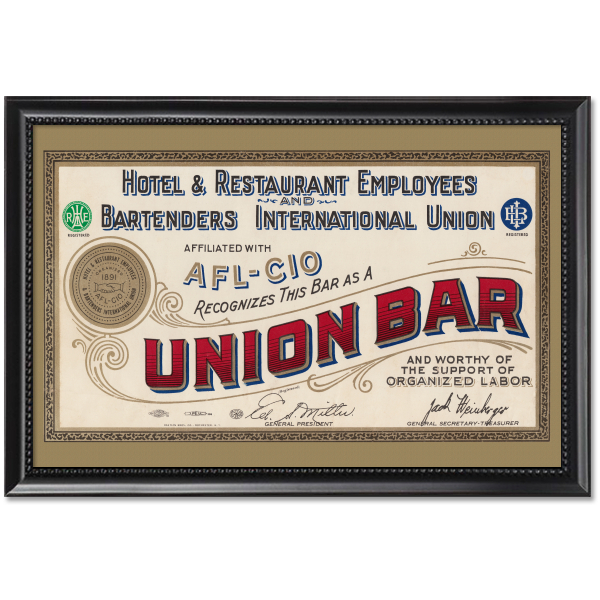  Arrives ready-to-hang, with hardware attached.  Print Size: 11x17 inches.  Outer Frame Dimensions: 12x18 inches. 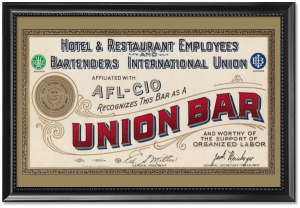 Description: Certificate issued by the Hotel & Restaurant Employees and Bartenders International Union for display in bars that employee union workers, 1930s.